Previse has been recognised as one of the hottest fintechs in Europe by Fintech50 at an exclusive ceremony in London on Wednesday 20 June. 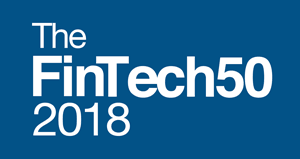 The Fintech50 is a prestigious list of the top fintech companies in Europe, chosen by an expert panel of leaders from around the world, representing investors, financial organisations, global techs and innovation leaders. Previse was selected from over 1,800 fintechs from all over Europe. In choosing the final 50, the judges look for companies with a track record as well as growth potential for the future. The list included Revolut, the retail FX company which this year was valued at over £1 billion, as well as a number of well-known fintechs serving institutional investors. This is the latest in a year of positive announcements for Previse. The company opened a new Glasgow office in October 2017, secured R&D funding from Scottish Enterprise and appointed business heavyweights David Tyler, Chairman of Sainsburys, and British Land Chairman, John Gildersleeve, to its advisory board. It also announced partnerships with the leading provider of digital supply chain solutions, Virtualstock, and social enterprise, Auticon. Earlier this month, co-founder and CEO of Previse, Paul Christensen, was appointed to Innovate Finance and City of London Corporation’s Fintech Strategy Group. The group has been tasked with driving the success of the world-leading UK fintech sector. “We are pleased to be included in this prestigious list of the hottest fintechs in Europe. Being selected out of a pool of 1,800 companies is strong validation of the importance of the slow payments problem we’re solving, how we’re solving it, and our tremendous team. “Slow supplier payments are damaging the world economy. Every year hundreds of thousands of businesses which are fundamentally sound, creating good jobs and with potentially transformative ideas and products close purely as a result of their cash flow challenges. For more information and to keep up to date with Previse, follow us on Twitterand LinkedIn.